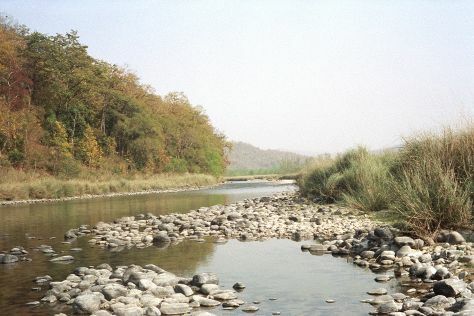 Spend the 20th (Sat) surrounded by wildlife at Jim Corbett National Park. There's still lots to do: explore the activities along Kosi River, don't miss a visit to Garjiya Devi Temple, see human ingenuity at work at Ramganga Dam, and take in the spiritual surroundings of Durga Mandir Temple. To find traveler tips, reviews, ratings, and more tourist information, you can read our Jim Corbett National Park route app . Finish your sightseeing early on the 21st (Sun) to allow enough time to travel back home.